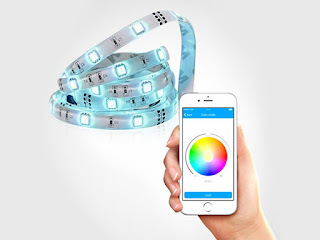 Incredible lighting is just a peel and stick away with the app-enabled SMFX Bluetooth LED SmartStrip. Install it just about anywhere, and then choose from up to 16 million different colors of light to best suit your mood for any time of day. You have complete control of your lighting situation straight from your smartphone.